The Roland VR-50 HD gives you a complete HD Switcher in one portable unit! This switcher allows you to input both audio and video sources. You can then output to your sound system, video display system and/or recording system for one seamless production. It includes 12 audio inputs and 4 video inputs! Plus it has a 7" LCD touchscreen display for preview and digital mixing control. You can also live stream your production via the USB 3.0 audio/video outputs! This switcher makes video editing, sharing and production a breeze! 3G/HD/SD-SDI: BNC type x 4 (INPUT 1 -- 4) - *Conforms to SMPTE 424M (SMPTE 425M-AB), 292M, 259M-C.
Analog Video (SD): Composite (BNC type) x 2 (INPUT 1 -- 2) * INPUT 1-2: Select SDI, HDMI or Analog RGB, Composite using menu. *INPUT 3 - 4: Select SDI, HDMI using menu. 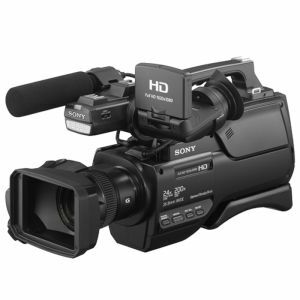 SDI - 480/59.94i, 576/50i, 720/59.94p, 720/50p, 1080/59.94i, 1080/50i, 1080/59.94p, 1080/50p * Conforms to SMPTE 274M, SMPTE 296M, ITU-R BT.601-5.